We just had about a foot of snow here, so my mind is on summer. This was taken at a parade last summer. 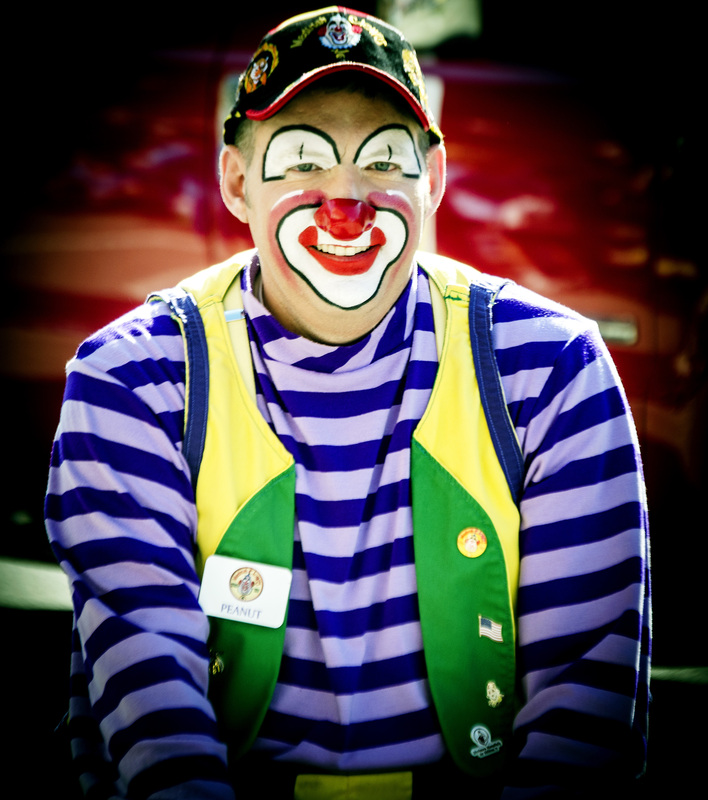 Some people find clowns creepy… do you? I’ll post a companion to this image soon. Smile! I never found clowns to be creepy but always wondered what was going on behind the face paint. You do have to give them credit though for all they do to make folks smile.